DVDStyler for Windows 10 - an application to quickly create professional DVDs, burn files and play them using players. 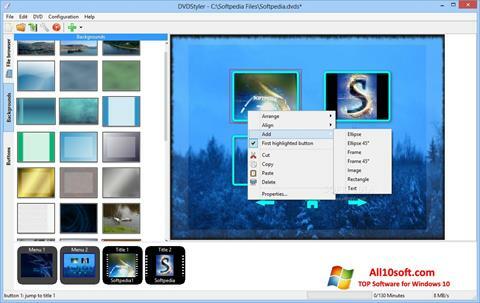 Through this program, you can create a disc menu by adding titles, background photos and sound, ensuring the uniqueness of the design. Supports all formats of audio and video files. Allows you to record data on a single optical media with different extensions. The utility is easy to manage. You can free download DVDStyler official latest version for Windows 10 in English.